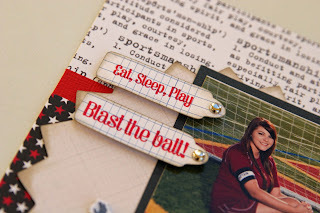 Liz's Paper Loft: MCT~ January Sneak Peek ~ Day 1! ***This is my second post of the day! To go to the EAD Designs Monday HOP click HERE! Welcome to My Creative Time's January Release Sneak Peek! I'm so thrilled to be able to share with you what Emma has been up to the last month! Actually I've been waiting for two months to get my hand on the set that I'm showing you today! Never in my wildest dreams, did I ever think that when I signed up my 4 year old to play soccer that she would still be playing at 21! That's 17 years of soccer layouts! So yes, I was totally excited that this set was in the works!!! ***SPREAD THE WORD TO THE WORLD ON FACEBOOK about this release & whatever connections you may have! Let us know on "My Creative Time's" FB page here http://www.facebook.com/#!/pages/My-Creative-Time/364568506334 that you did so! OR you can just tag Emma in your post! Emma will randomly pick & announce all winners on Friday, January 21st during this AWESOME release happening @ 12:01am PST in her video! GOOD LUCK! If you haven't been there yet, go check out Emma's blog so you'll be able to see all the other design team member's projects! Don't forget to scroll down to enter this weeks giveaway for EAD Designs! Your layout is adorable. I love the stamps. Wow... your layout really caught my eye!! I have followed you for FOREVER... and this is fabulous. I too have a couple of soccer players on my hands... and it doesn't stop after 17 years. :-) I myself, played until I was 33 and pregnant!! Have fun!! Again... really love this and need to check out that stamp set!! HI Your layout is very nice.I will be back tommrow. Awesome LO. Great placements of everything. Fun layout! I love all of the little details! Awesome layout, Liz!!! All of your elements are just perfect, and Emma's stamps look so great with the TC papers! Your daughter looks just like you! your layouts are ALWAYS soo beautiful!! love them! I so love these new stamps!! This layout is amazing and perfect. I love every single thing about it. Great job. What a treasure for your daughter to have.!!! Amazing layout! I can see your love for this new set for sure. great layout! and yes that is a lot of years for soccer! gonna be a good week! Your daughter looks like she has fun, What a beautiful layout. Great job. You're layout is Awesome Liz-love the grid paper you used for the stamps sentiments! 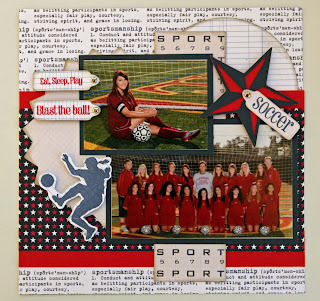 Beautiful job on your layout and happy for you that you now have stamps to make many years of layouts :D So many items you used to make your page all come together. Great job. Beautiful LO. I love the colors and the paper that you used!! TFS!! Love the layout came out fabulous. Great layout, my daughter loved this one. She plays soccer and can't wait to go to high school and play. 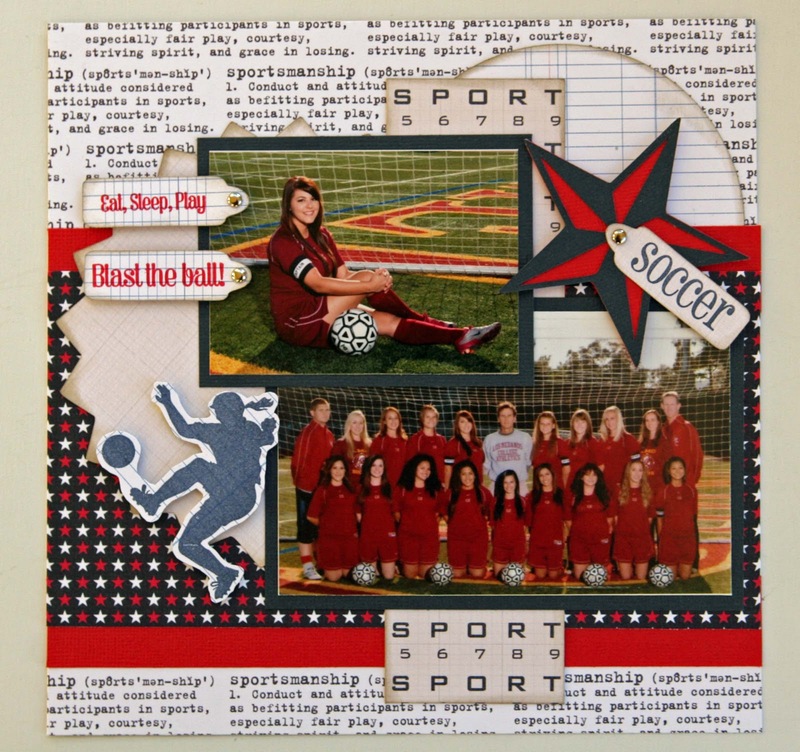 Super cute layout, I love sports theme layouts! Your layout is too cute!! Just love it!! Gorgeous layout! 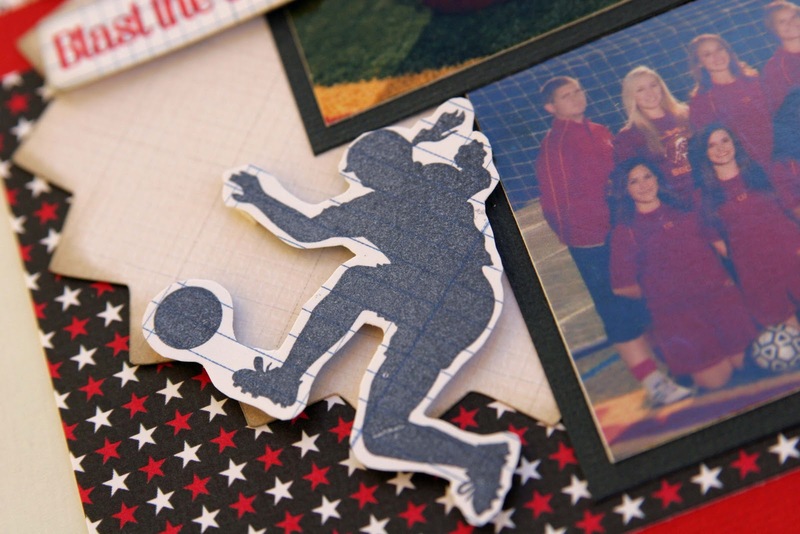 I love the focus on girl sports that has been created with Emma's stamps! Such a darling layout, all the extra attention to detail definatly paid off! Oh...LOVE this! The colors are awesome!!! I really like your layout. The colors are great too! How cool is your layout. Great job. Yeah its gonna let me today I love your layout page great job girl!!! Wow...I love your layout!! Love all the detail. Okay ~ I am still here! Yep ~ you made my "crafty enabler" list for sure after this layout! First ~ it is just perfect! All the different papers, cuts, stamps, pictures...etc... just PERFECT! Congrats to your daughter for loving this sport after all these years! She must be in incredible shape too! Wow, what a great layout. Love it! Congrats to your daghte for her sports success and to you for keeping up with it, it takes a good parent to encourage a child to do what they are pationate about... What else is to say, awesome LO TFS. I love this layout, the stamp set if perfect! Love your layout! My daughter has also been playing since age 4, but she's only 8 now, so I think I still have years of soccer layouts ahead of me too! Wow! I love all of the details in your layout! TFS! Great layout. That is impressive that your daughter is still playing. My son started at 5 too. He hopes to play in High School next year. And for 14 he makes good money reffing.